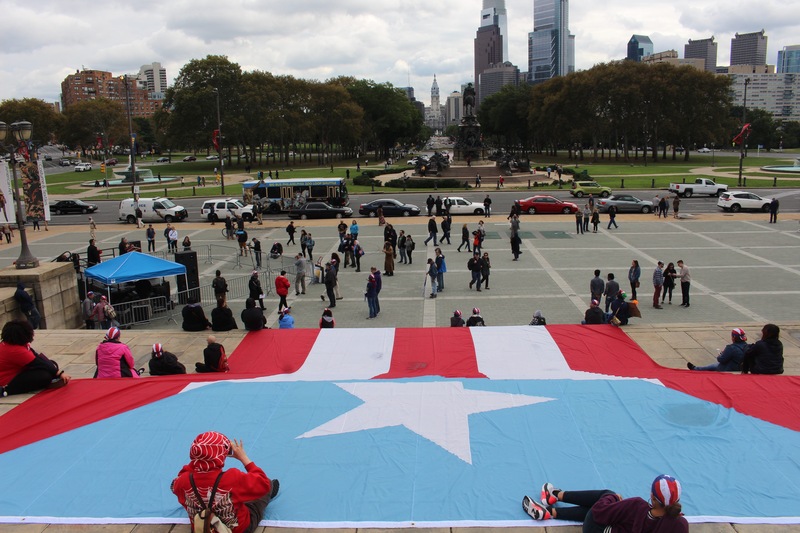 As midterm elections approach, the spotlight for many of Philadelphia's politicians, activists, and voters remains on Puerto Rico’s recovery nearly a year after Hurricane Maria struck the island. 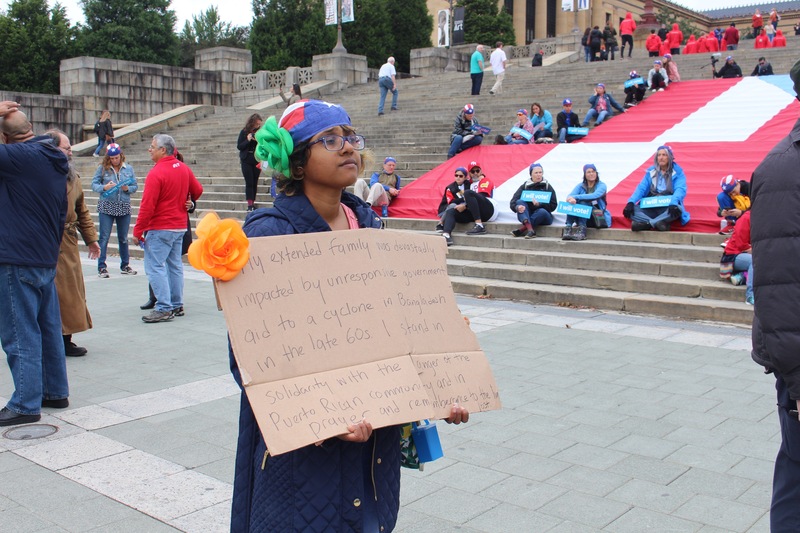 A small but vocal crowd gathered at the steps of the Philadelphia Museum of Art on Oct. 12 for a march to remember the estimated 2,975 lives lost after Hurricane Maria devastated the island a little over a year ago, and call attention to the wide scale destruction and ongoing suffering experienced by Puerto Ricans still on the island as well as those who were displaced and are currently living on the mainland. 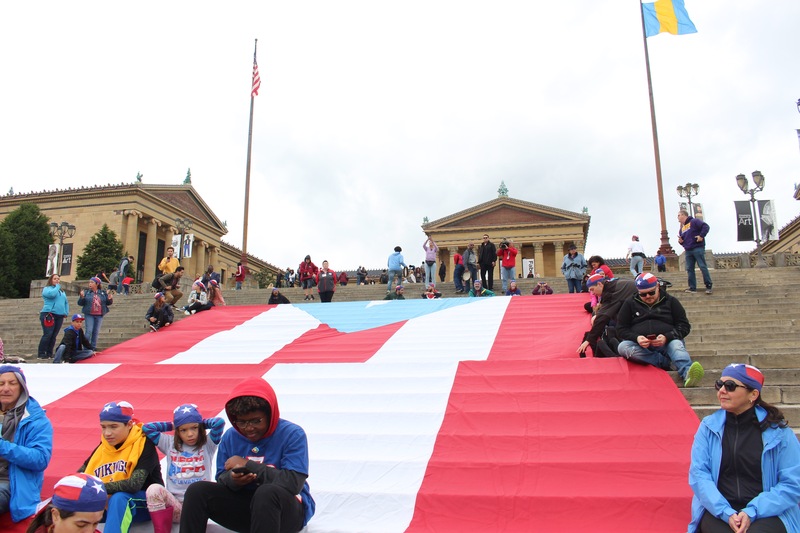 Volunteers carried a 40 by 60 ft. Puerto Rican flag from Logan Circle to display it on the steps, where the artists, musicians, activists, and elected officials — including Mayor Jim Kenney and City Councilwoman Maria Quiñones-Sánchez — addressed the crowd with one unified message: to effect change by voting on Nov. 6. 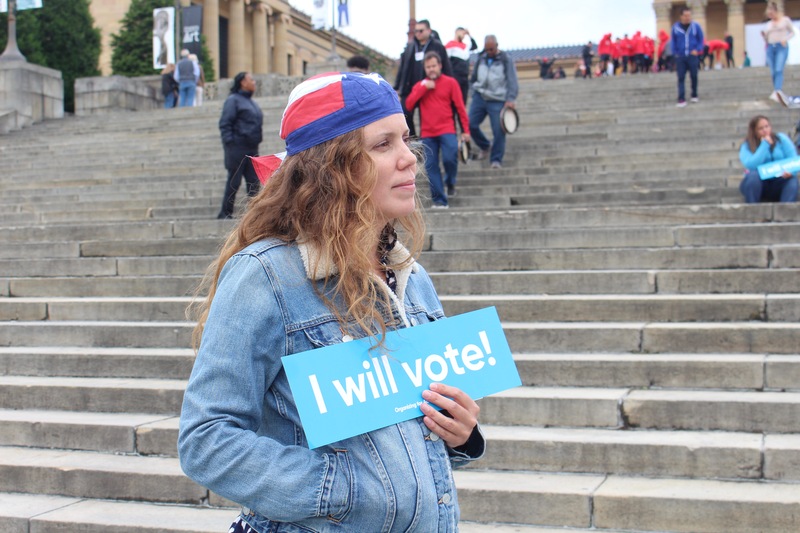 "We're here to remind folks that those of us who can vote have a responsibility to be a voice and a vote por la gente de Puerto Rico," said Quiñones-Sánchez. 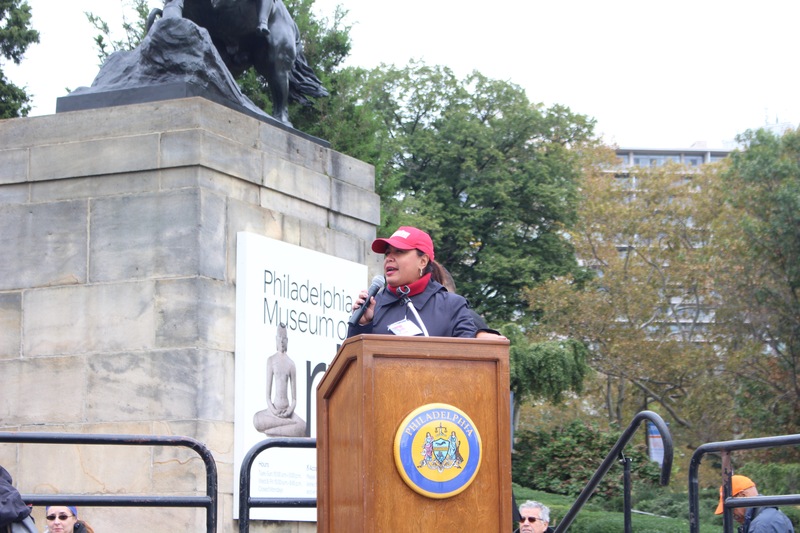 "So if you are as outraged as I am, it is not about what we say, but what we do. 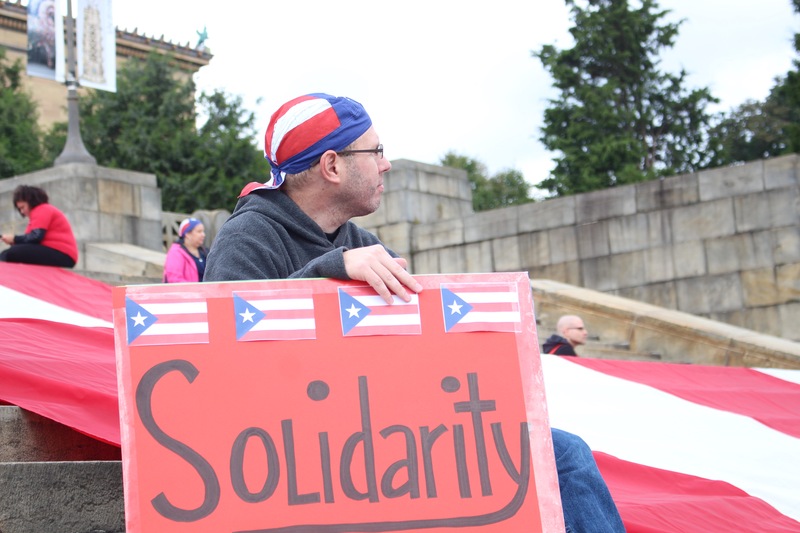 We need to get the thousands of inactivated Puerto Ricans, Latinos, and allies to come out and vote and send a strong message to the federal government that while local government and others can do what we can, ultimately the federal government is our government." 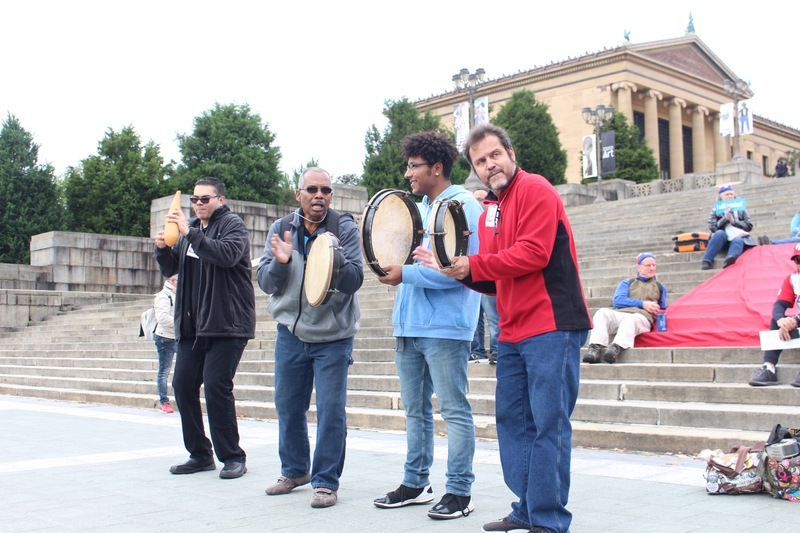 Mayor Jim Kenney cited the efforts on the part of the city’s Office of Emergency Management in the past year, which aided approximately 900 Puerto Rican families who landed in the Greater Philadelphia area after the hurricane in what was the longest-running emergency operation in the city agency's history. 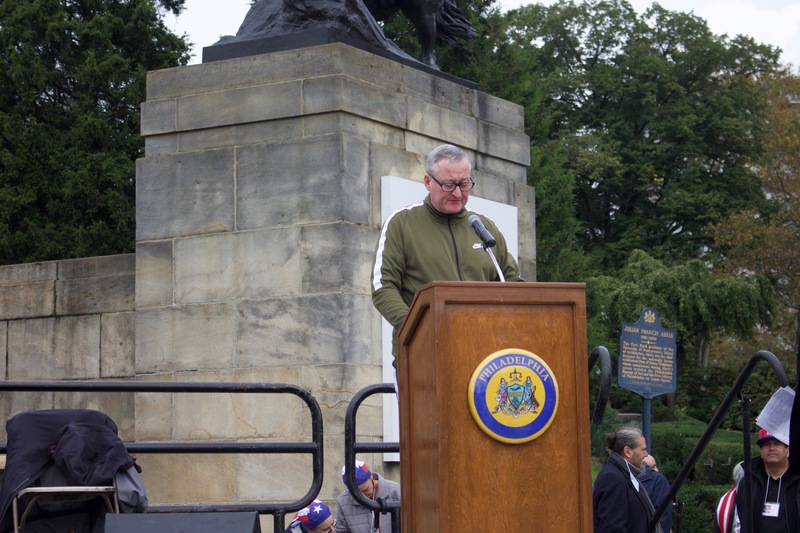 “It is unconscionable that the federal government’s response to this tragedy has been so poor,” said Kenney, noting that public and private sector partnerships played a critical role in helping with initial needs of evacuees and will continue to be significant in sustaining long-term recovery efforts. 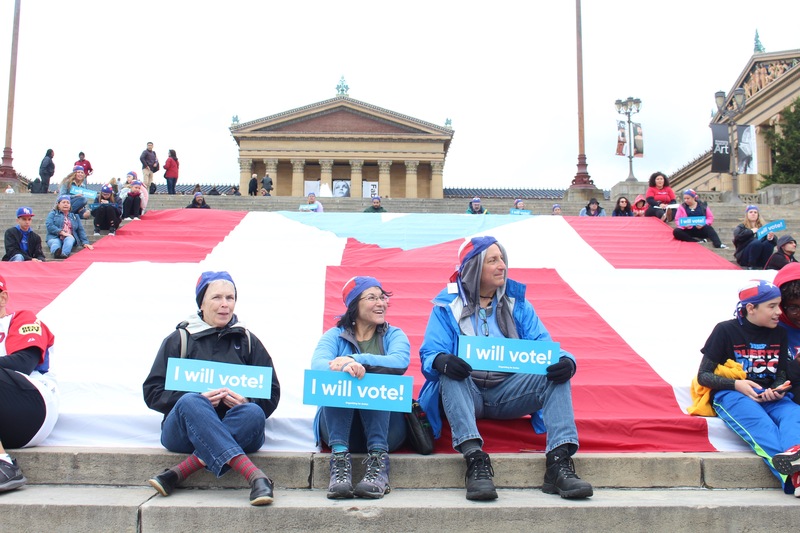 He added that the “most important thing” everyone could do is vote in the upcoming midterm elections — a statement which was greeted by chants of “I will vote” from the crowd.